Graduate student and veteran Lindsay Zike wanted to help others make the transition from soldier to student. The Office of Student Veteran Life, recently established with her help, is doing just that. A group of students chat and laugh in the newly established Office of Student Veteran Life. Flags and crests for each branch of the armed forces adorn the matte purple and grey walls. 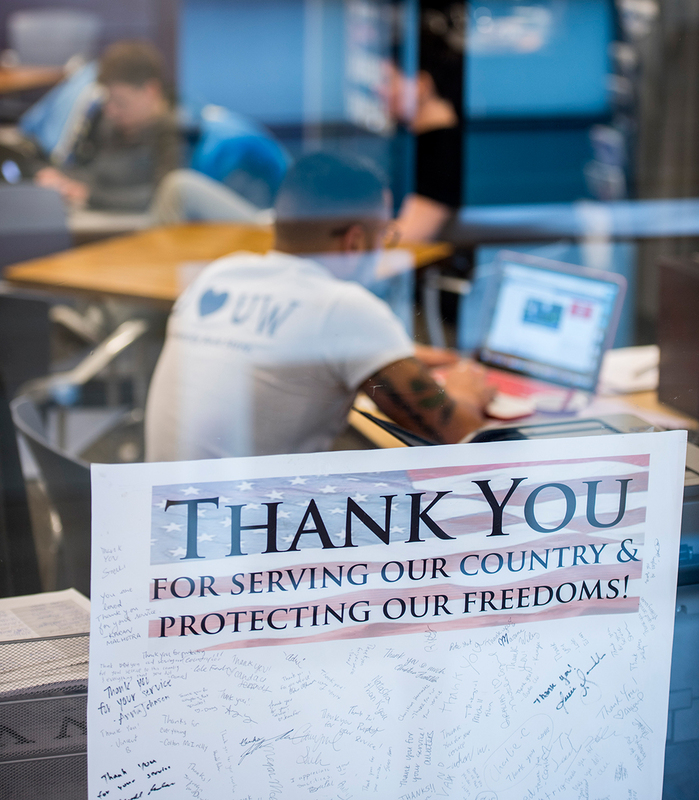 The Student Veterans Support Fund helps the University create a welcoming and veteran-friendly campus through training and workshops, community events, and dedicated student veteran spaces as directed by the University’s Office of Student Veteran Life. Located on the third floor of the HUB, the OSVL is laying the groundwork for the future of veterans on campus. It’s focusing on building relationships among faculty, staff and service members looking to complete their education. And it provides a place of gathering — and connection — for student veterans. 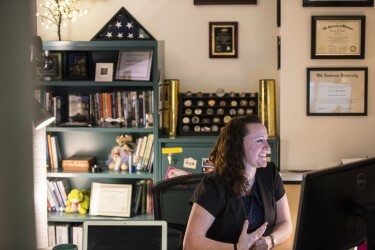 Completely staffed by student veterans, the Office of Student Veteran Life works to create a sense of connection among veterans — and with the broader campus community. The inspiration for the OSVL stemmed from graduate student Lindsay Zike’s personal experience as an undergraduate. Having arrived on campus after serving four years in the Navy and being medically retired, she made the challenging transition from military to civilian life largely on her own. With the future of UW student veterans in mind, Zike set out to drive the change she wanted to see. She worked alongside several student veterans to establish the place she had been looking for all along. 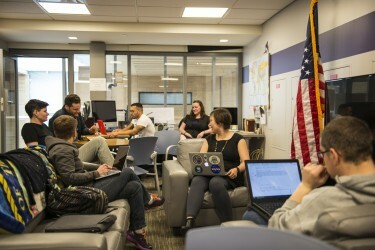 The OSVL is a space for student veterans to gather, connect, socialize and study. The need for a safe space is indeed critical. With suicide currently the second-leading cause of death in U.S. veterans and PTSD rates close to 20 percent, the services the office will bring to campus will drastically impact the lives of veterans who return to school. Thanks to the OSVL, student veterans have a space to connect with others who have similar experiences and backgrounds — helping to combat feelings of isolation and loneliness, which often can segue into deeper feelings of depression and self-harm. Future trainings and a certification program the OSVL plans to offer will provide faculty and staff with a deeper understanding of issues and situations that may be difficult for veterans who are adjusting to student life. 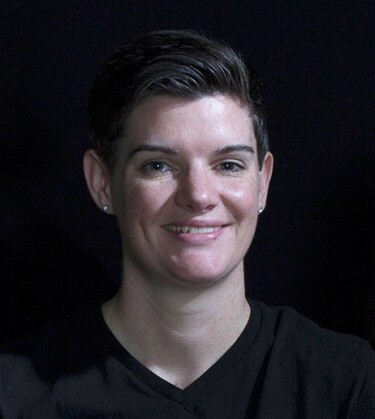 Air Force combat veteran Sam Powers is the OSVL’s first director. And, as the OSVL gains momentum, both Zike and Powers hope it can become a full-service office for student veterans — offering in-house mental health services, educational and financial aid resources, career counseling and interactive programming. The team has already gotten started. They have programmed social events that build a stronger community — like Veterans Night Out, an opportunity for student veterans and their families to bond and relax in the HUB games area. Mental health and wellness programming, like yoga and art therapy, are also in the works.